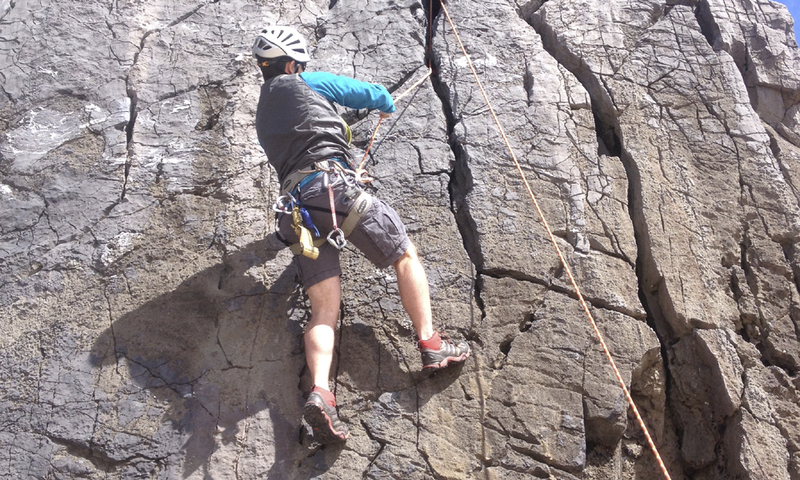 An important part of the Rock Climbing Instructor assessment (and a vitally important part of our working day on the crags) is providing a safe environment for ourselves and our groups. Knowing how to problem-solve is obviously a skill we need to have; however, the best way to solve problems is to reduce the chance of problems occurring in the first place. We can achieve this by putting robust procedures in place when we are working with our groups out on the crags. 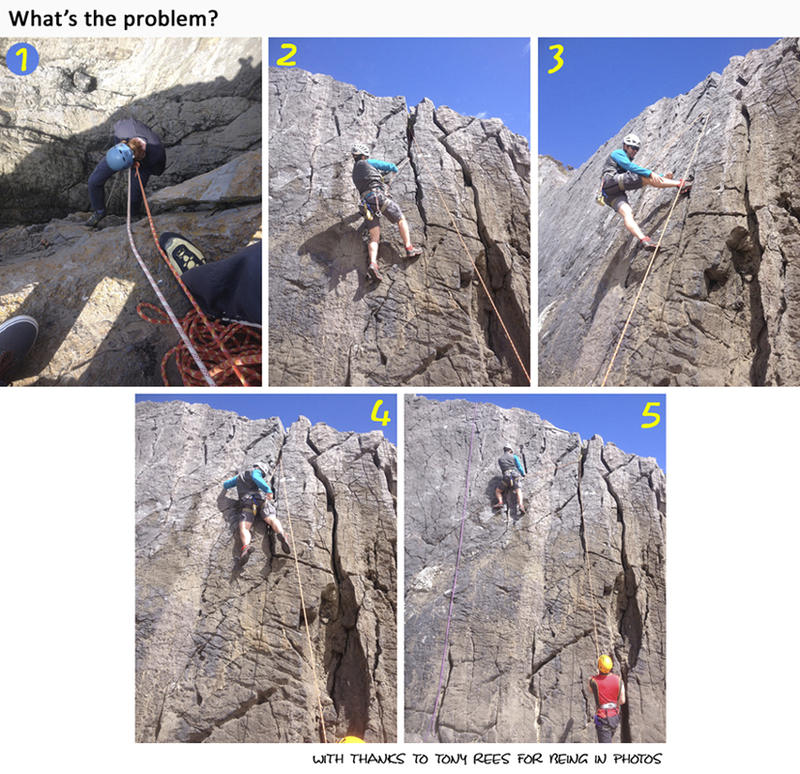 Take a look at these photos of various problems and have a go at solving them [solutions at foot of page]. Abseiler has hair caught in figure of eight. Bottom rope, rope stuck in crack above and out of reach of climber. Climber has foot stuck in crack. Climber has harness leg loop stuck on hold lowering on bottom rope. Climber on bottom rope climbs diagonally off line and can’t climb back.